A fun, retro wedding invitation set featuring a personalised ‘stamp’. 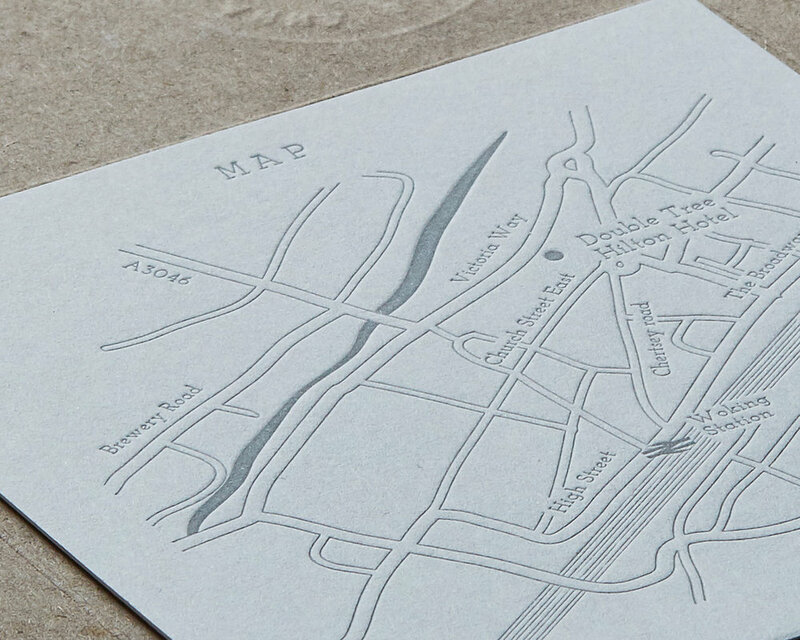 The stylish simplicity of the design complements the texture and quality of the letterpress print technique. 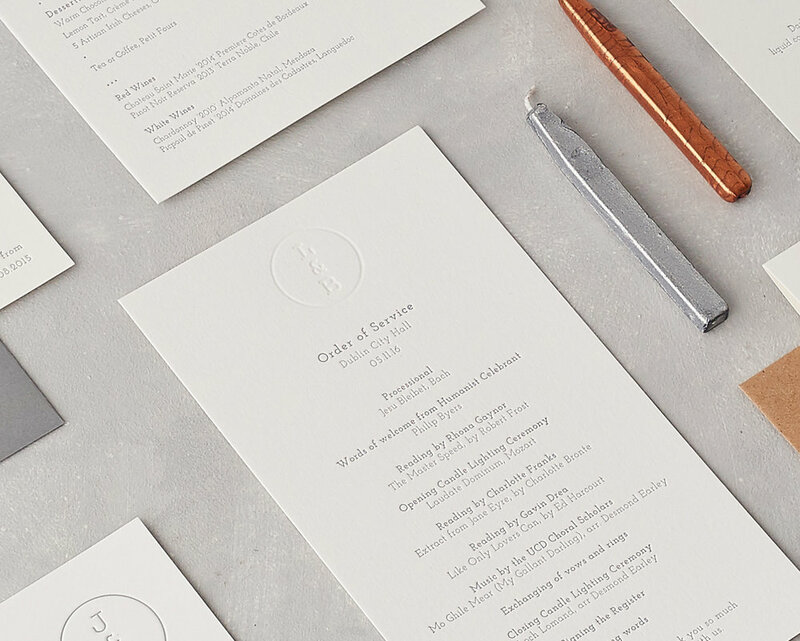 This elegant wedding stationery set is a contemporary classic – a chic design with a contemporary layout and minimalist style beautifully coupled with retro typewriter fonts. 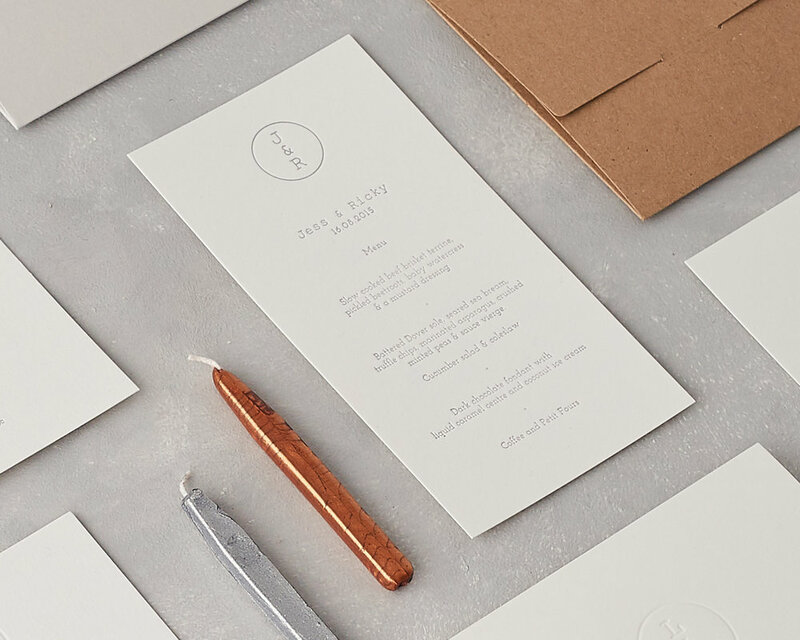 The letterpress wedding invitation features a blind (no ink) monogram and a unique kraft wallet bundle for your guests to unwrap, embossed in grey with your personalised stamp logo. 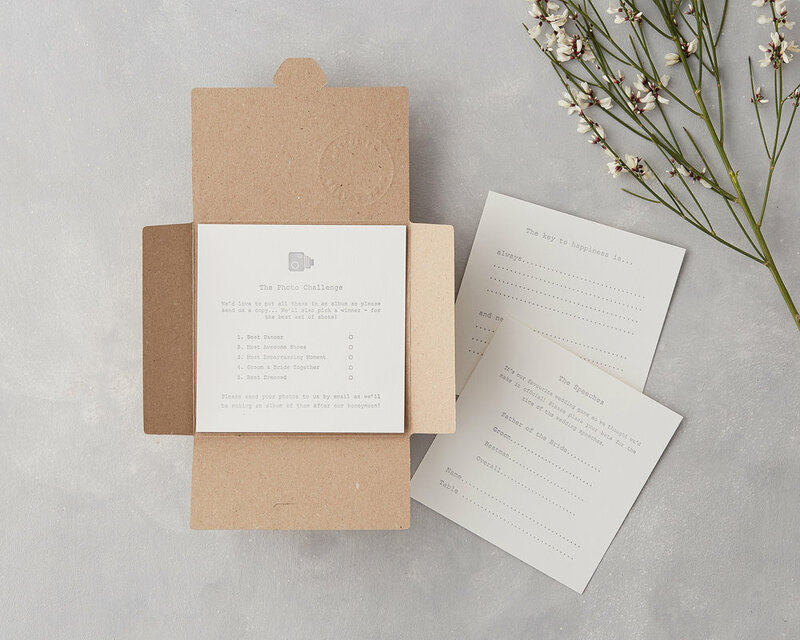 The folding kraft bundle can be sent with the letterpress invitations and incorporates all the information you need to give your guests in the lead up to your big day, such as maps, RSVP cards, information cards, timelines and gift list cards. 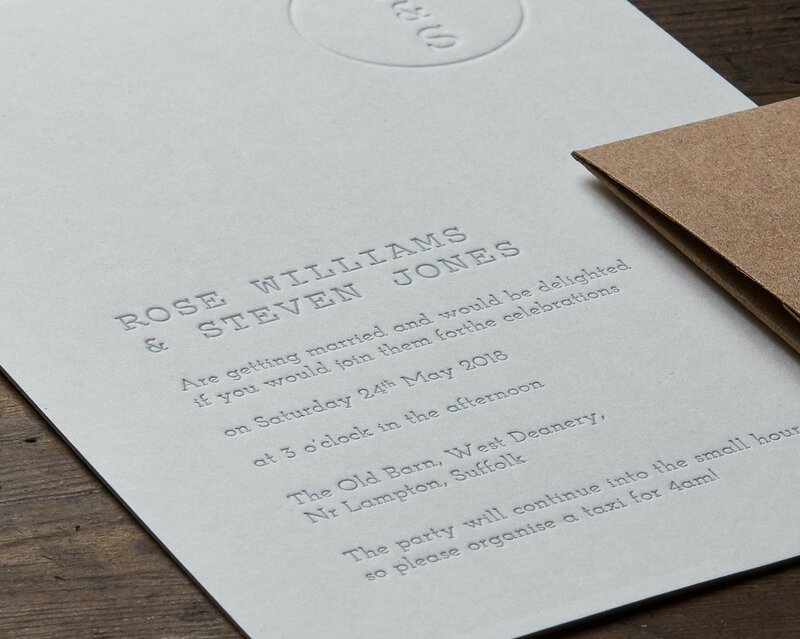 Our letterpress Retro Stamp design has a matching set of stationery for the wedding day itself, with different options for menus, orders of service, place settings, tags, table plans, signs and anything else you might need. If you are looking for a unique wedding addition for your big day, check out the Game Bundle for fun activities for your guests! Matching Thank You cards are available for the Retro Stamp design. 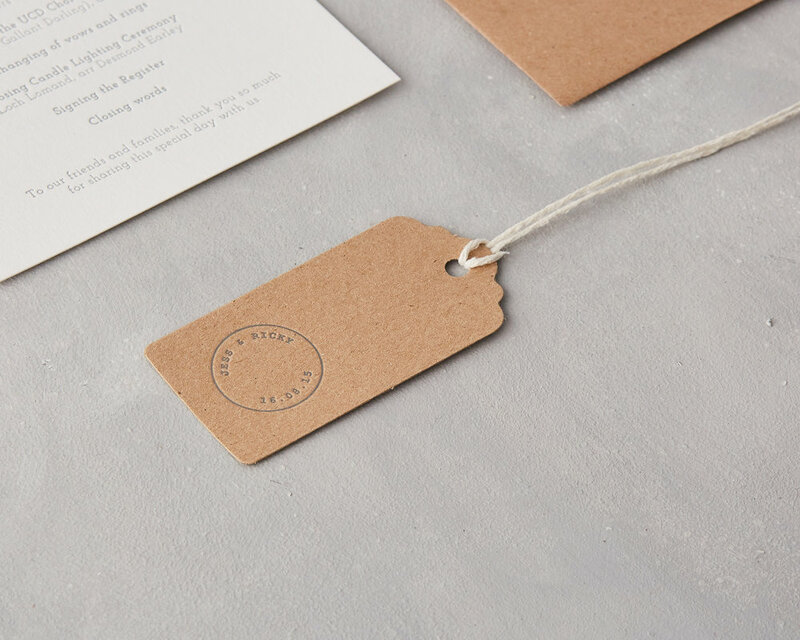 Or why not go all out and get a set of personalised notecards as Mr & Mrs?